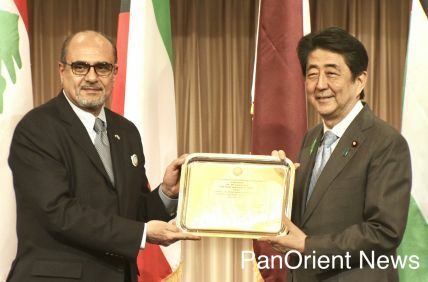 The government said it plans to launch another radar satellite by the end of 2012 which would then complete the system with two radar and two optical satellites in operation. The country currently has four optical satellites in operation including one launched in September. Japan’s spy satellites have been in service since North Korea's Taepodong-1 ballistic missile in 1998 that flew over the country into the Pacific Ocean. The total cost of the latest satellite came to 50.1 billion yen; 39.8 billion to develop, 10.3 billion to launch, the Cabinet Satellite Intelligence Center said. Radar satellites can penetrate through clouds and the dark but optical satellites need daylight hours on a fine day to photograph objects on the ground. Radar satellites can identify objects as small as one to three meters on the ground at night and in bad weather. They work together with optical satellites with high-resolution telescopes that can observe objects several ten centimeters square on the ground during daytime if the sky is clear. 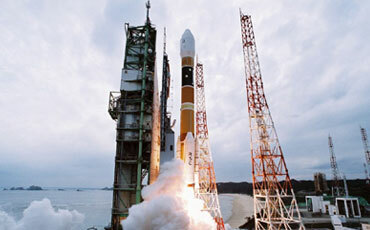 Japan launched its first H-2A rocket in August 2001 following two unsuccessful H-2 rocket launches. Of the 20 H-2A rockets, the No. 6 vehicle was the only one that failed. According to experts, Japan’s rocket industry expansion into the international market will be marked by an H-2A rocket that is to be used to transport a South Korean satellite by the end of the financial year. The latest successful H-2A launch demonstrates to the world that Japan is striving toward gaining trust in its rocket technology, science and technology minister Masaharu Nakagawa said. The launch, conducted jointly by JAXA and Mitsubishi Heavy Industries Ltd., was done from the Tanegashima Space Center in Kagoshima Prefecture.